One of the goals of Africa Camp is to offer children aged 5 to 12 an alternative narrative while attending camp. Specific activities they participate in include drumming, dancing, painting murals, storytelling, and learning about African history and culture. Special guests—working professionals of colour—are also invited to come engage with the campers. This allows the campers to learn about future career paths, and the endless options ahead of them. 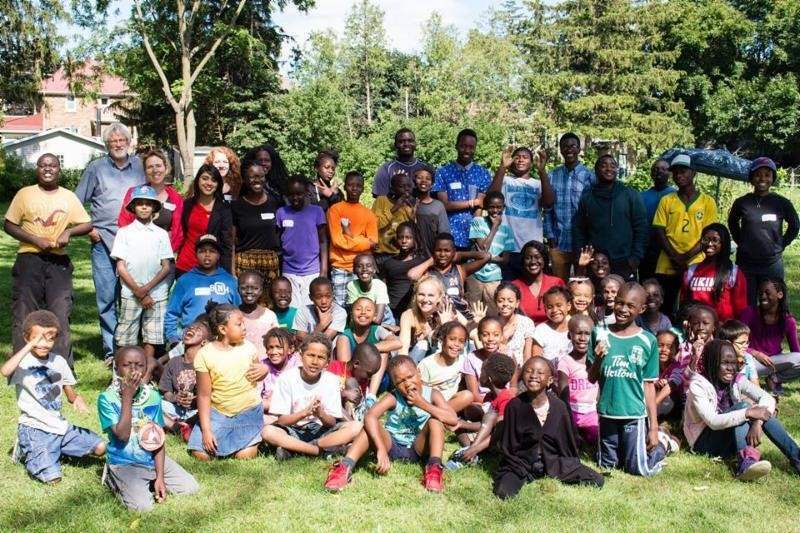 All of the programs and activities help teach campers more about African heritage, and explain the importance of cultural diversity within Waterloo Region. Through this, they realize that they are welcome in our communities, and have just as much to contribute as everyone else. While Africa Camp focuses on delivering programs and content for children of African descent, it is open to everyone regardless of their ethnic background. It successfully creates an environment where everyone is welcome. Africa Camp runs this summer from August 14th to 18th, with a special community dinner and performances on August 17th. More information and registration can be found online at www.bringonthesunshine.ca.